The New South Wales town of Maitland is pleasant enough but hardly a memorable place. Yet I recall that that’s where I was when I received a phone call which would result in a four-year journey with InDaily. In fact, it was exactly four years ago. The Socceroos had just qualified for the final of the 2015 Asian Cup after winning a semi played in Newcastle; my wife and I were staying nearby on the shores of Lake Macquarie; and we were in Maitland as part of a drive around the area. Seeing Tom Richardson’s name flash up on my phone was nothing unusual – we’d met through a mutual friend when he was still a student. But he never rang to talk soccer. By the time the call ended, I’d agreed to send a piece for the following Monday which would fall after Australia met South Korea in the tournament decider. It was probably meant to be a one-off or the first of a few occasional contributions. But my column was well received (undoubtedly helped by Australia’s victory). And that gave me the idea of penning something each week. I felt there was a big gap in coverage of the sport. Perhaps I could play a small part in narrowing it. And I’d get the chance to write about the game the way I saw it – it has many tenets that need to be challenged and I wanted to give readers something to think about. When September of that year rolled around, I pitched the idea of attaching the column to the A-League travails of Adelaide United as Richardson does with the Adelaide Crows in Touch of the Fumbles. While I could never match his style, the opportunity to straddle the line between supporter and reporter was irresistible. There were many weeks in which I wrote about other subjects in the game – such as our national teams, the A-League or Australian soccer in general, or even FIFA politics – but that was inevitable. It’s a massive sport in which stories bubbling away around the country and around the world can have local impact. The first two words of the column’s title – Manton Street – were never in doubt. Hindmarsh Stadium, the road’s unmissable feature, has been a durable home for soccer in South Australia. My first memory of attending a match there dates back to 1981. While stories about scoping for a potential CBD venue for Adelaide United continue, and while that would have some undoubted advantages, I remain a Hindmarsh fan. It is a fantastic stadium which, with some renovation, could be even better. I’ve come to know many Melbourne Victory fans through media work and travelling to follow the Socceroos. A lot of them would rather eat crow than say anything complimentary about South Australia. But mention Hindmarsh and their eyes light up – it’s their favourite away trip and a lot of that has to do with its terrific vantage points and atmosphere. Among the A-League’s biggest shortcomings have been not having the right type of venues and soccer not being in control of them. It’s why Western Sydney Wanderers are getting a new home and why Western Melbourne Group (whose bid for an A-League licence included providing a purpose-built stadium) will join the competition next season. Adelaide United may not own Hindmarsh but it is the only sporting team using it regularly. The ability to have some control of its future may be more beneficial than being based at a CBD venue where the club might be at the mercy of other sports and events. Adelaide United’s establishment in 2003 was one of South Australian soccer’s biggest game changers. In the preceding years I’d been somewhat envious of the rise of Perth Glory and never doubted that a catchall club would succeed here. My expectations have been exceeded. The club’s place in the state’s sporting landscape, and my own attachment to it, resulted in praise when I felt it was merited and criticism when it was deserved. It must be that way. The worst fans are those that either believe everything their club is doing is wrong or that it can do no wrong. I have high hopes for United’s future. It still hasn’t been a year since a consortium led by Piet van der Pol bought the club yet there has been some great progress in off-field matters. The signs that there would be could be seen within months with initiatives like the after-match kick on the pitch and the reduction of ticket prices for 2018/19. Some great players were brought in for the season as well but given that existing contracts signed before the ownership change need to be honoured, much of the new leadership’s influence in on-field matters will need to wait until 2019/20. I’m optimistic about the A-League too. It’s had its challenges in recent years with declining attendances and ratings. But there is a strong base for growth and that’s been recognised by the recent expansion process which began with enough bids to double its size. The two successful bids are making a large investment and Football Federation Australia has given two or three other groups confidence that they’re likely to be next in line. The competition is still less than a decade and a half old and it becoming what many fans would like it to be – 14 or 16 teams all with strong supporter bases and uncompromised access to good stadiums (and with a second division sitting below it) – is going to take time. It’s as simple as that. Unfortunately, much of the discussion about the A-League’s difficulties of recent seasons has been ordinary. Disgruntled fans give silly reasons like the competition’s standard or its referees (and the video assistant referee) and some second-rate journos egg them on. The standard is never going to match the big leagues of Europe, broadcasts of which have been available to Australians throughout its existence, and you have to question anyone that suggests there is some level at which they will consume it and another at which they won’t. And I don’t care how many people I offend by saying the following: there is an inverse relationship between the amount of time people spend criticising or complaining about referees and those same people’s understanding of refereeing and the laws of the game. Officiating in the A-League is as good as you would expect for a competition of its international standing. If not better. To recognise what drives attendances and ratings, you have to ask what the A-League can offer that you can’t get from other sports in Australia or soccer played in other nations. That second part is easy – it’s ours; players that honed their techniques on our rocky pitches and supporters who are our friends, relatives and work colleagues. But the crucial ingredient that provides uniqueness in the Australian sporting landscape is fan participation and the atmosphere that that creates. It is a magnet. Which is why the biggest mistake of recent years was the response, in November 2015, to the leaking of a list of people banned from attending A-League games. It was a response that didn’t do enough to convince the competition’s fans that they were valued, and the result was that many turned away and took their passionate support with them. Some steps have been taken to encourage those we’ve lost to return. But it’s going to take a lot more. After a week that saw the Socceroos knocked out of the Asian Cup quarterfinals and drama over the Matildas coaching position, it may seem that positivity would be the last thing anyone would be feeling about our senior national teams. But I’m certainly not negative about either. Few fans, I’m sure, expected the current men’s squad to win the Asian Cup particularly given that it’s being played in a part of the world where Australia has struggled for nearly a decade. That squad, however, is a young one. It only includes one or two outfield players that aren’t likely to carry on until Qatar 2022 (if we qualify). There’s plenty of potential and the main problem – goal scoring difficulty – might be solved by the new breed of Daniel Arzani, Martin Boyle, Apostolos Giannou, Chris Ikonomidis, Awer Mabil and Andrew Nabbout routinely working together with the more established attackers in the national team (such as Mat Leckie and Tom Rogic). The Matildas are unlikely to win the Women’s World Cup which will begin in June. And that is irrespective of recent events. They are ranked sixth in the world and, I would suggest, that’s precisely where they deserve to be. And the likelihood of the sixth-best team winning any tournament is low. If early games go to form, the quarterfinals would see Australia take on Canada which beat the Matildas at the Rio Olympics and went on to medal. And then nations like Germany, France and the US would still stand in the way of ultimate glory. But achieving such a high ranking is, in itself, an outstanding achievement, particularly given that there has been a global boom in women’s soccer. At international level, it is so much more competitive than it was even when the last World Cup was played in 2015. It will, however, be difficult to maintain. An uncomfortable choice may soon face us: finding more funding for the W-League to expand it and make it more lucrative so it retains a high standard for the Matildas that play in it; or concede that those players will look to European clubs as Adelaide’s Alex Chidiac did by moving to Atlético Madrid. While there is still room for more quality coverage of the sport, it’s been refreshing to see a new generation getting involved in soccer media in recent years. Online publications that are dedicated to the game are often first with news and include some decent opinion pieces as well. And Adelaide is fortunate to have scribes like freelancer Paul Williams, who’s currently in the United Arab Emirates covering the Asian Cup, and The Advertiser’s Rob Greenwood. Leaving the group of local writers is a little sad but necessary because I’ve been given the opportunity to work in the game. Which is a privilege because soccer has made me fabulously wealthy. And I’m not talking about material wealth; it’s the wealth I’ve gained from experiences, friendships and cultures. I could give you hundreds of examples but one that sticks out is a 2006 conversation with a young German chap called Markus on a train out of Kaiserslautern. We had both just attended a World Cup match between Paraguay and Trinidad & Tobago. 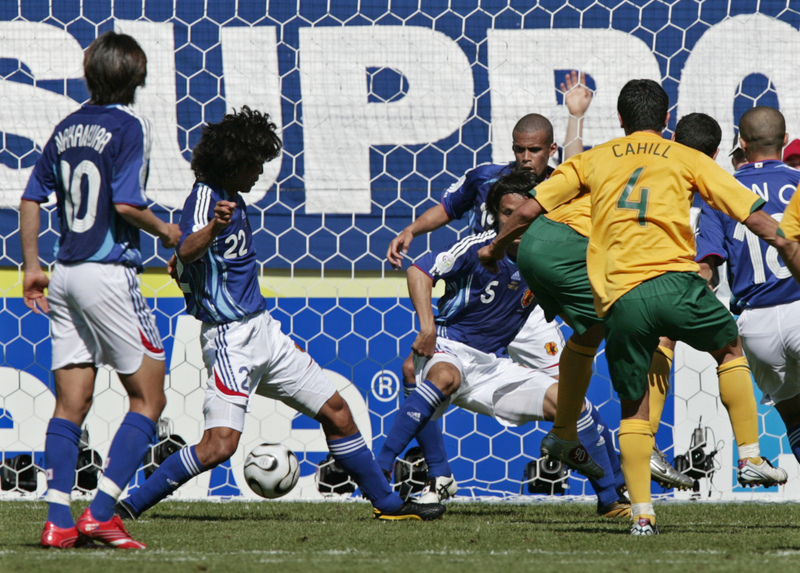 The Socceroos were scheduled to play Croatia two days later in Stuttgart in a match that would decide which team would advance to the tournament’s second round. Markus actually lived in Stuttgart but hadn’t been able to get a ticket for the big game that was about to be played in his home town. He asked me if I was confident; I told him that I was having trouble thinking about the match because I knew Australia had a golden chance and was incredibly nervous about it. He wished me luck. After the Socceroos drew 2-2 with Croatia (in a heart-stopping game) to clinch qualification for the next round, I was partying with other Aussies in Königstrasse, the main shopping street in the heart of Stuttgart. The game had kicked off late in the evening and it would have been past midnight. And, would you believe it? I bumped into Markus who’d been out with his father taking in the post-match atmosphere. He laughed and congratulated me and told his dad (in English) that I was the Australian chap he’d spoken to on the train two days earlier. No doubt he later added “crazy” to the description. You can probably understand why I haven’t been able to resist travelling to the three FIFA World Cups held since. But you don’t have to travel. It may be hackneyed to talk about the game’s global reach but sometimes we don’t do it enough. And you can experience it at a local club which is likely to bring several cultures together. And having that should make us happy; make us feel like we have something to celebrate. Yet a large cohort of soccer fans in Australia seem to be constantly grumpy. They’re continually whingeing and that’s been the case for as long as I can remember. About other sports getting preferential treatment. About whoever happens to be running the game. About referees… media… resources… The list is almost endless. Occasionally these complaints are valid but then there’s always another (which might not be). My summation, rightly or wrongly, is that these types will never be happy unless something rather unlikely happens – the game in Australia reaches the heights it achieves in nations where it’s always been top of the charts. I’ve often addressed subjects that we’re all grumpy about but I’d like to think I’ve also conveyed what makes the game joyous, what makes it special, what it is about soccer that provides interest, uniqueness or magic, whether it’s on the pitch or off it. If I haven’t done that, I’ve fallen short in one of the outcomes I wanted to achieve. Nevertheless, the feedback I’ve received has mostly been positive – I appreciate all of it. In closing, I want to record how grateful I am to InDaily, particularly to Tom Richardson and editor David Washington. Whether my opinions were popular or unpopular, they were certainly mine. InDaily backed my knowledge of the game and how my columns would be received both by soccer fans and the subscribers who might only have a passing interest in the game. I hope to contribute occasional columns in the future but as a new employee of Football Federation South Australia, there would be too many perceived conflicts for regular contributions to continue. But as you may know, FFSA’s offices are currently at Hindmarsh Stadium, home of Manton Street’s tales.